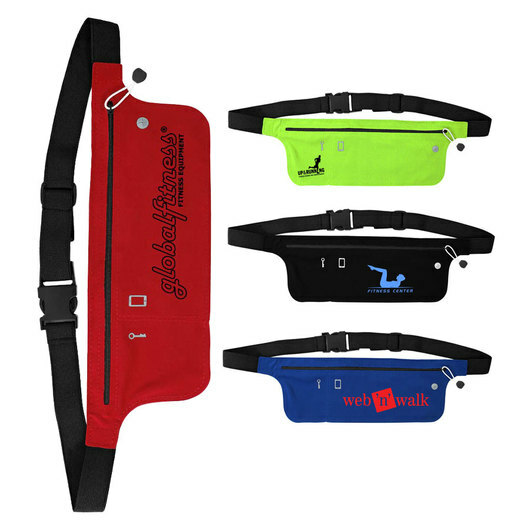 A convenient zippered waist pouch ideal for holding ID, keys, MP4 players, smartphones, etc., while running or exercising. 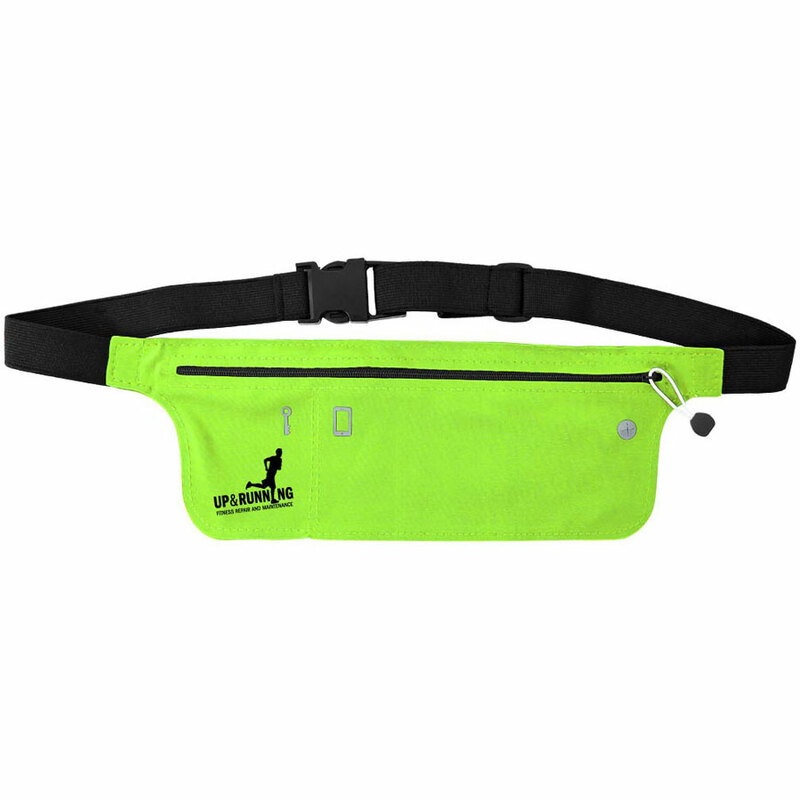 The slim design allows the waist pouch to sit close to the body causing less obstruction than traditional waist packs. Constructed of stretchable Lycra material these pouches are able to accommodate most smartphones. 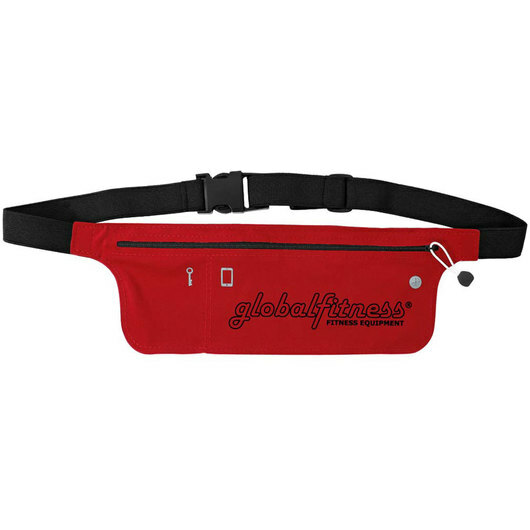 Separate stitched section for small items like keys and a larger section with earbud cut-out which can accommodate larger items like phones. One size fits most for convenience.